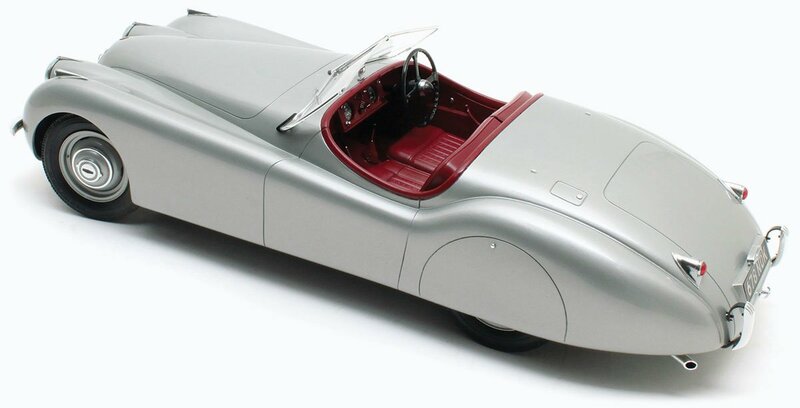 12 Art has just released its pair of 1:12 replicas of the Jaguar XK120 OTS (which stands for either Open Top Sportscar or Open Two Seater, depending on who you talk to!). 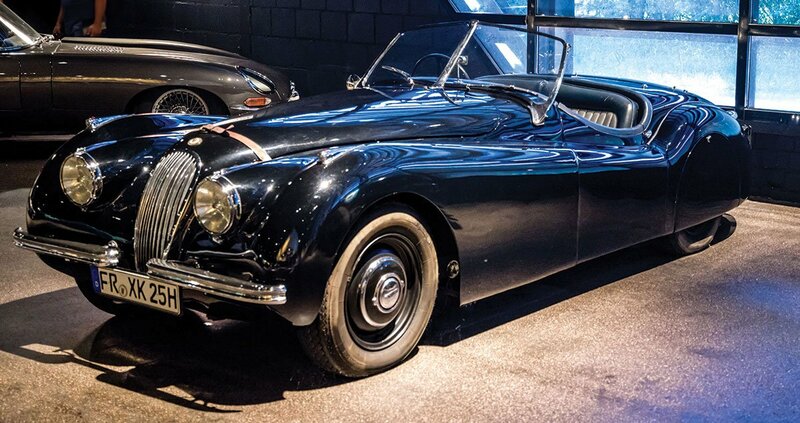 Jaguar launched its XK120 in roadster form at the 1948 London Motor Show. It was originally never intended for production; its purpose was to serve as a test bed and show car for the company’s new XK engine. It caused such a sensation, however, that William Lyons quickly took the decision to put it into production. The first XK120s off the production line were wood-framed with aluminium body panels, but from 1950 they were constructed entirely of steel. It would end up being produced until 1954, with just over 12,000 examples having been built over the six years of its life. 12 Art is offering its 1:12 replica of this iconic British classic in green and silver. We think that the asking price of £296.99 is fantastic, especially as it comes from the same people who bring you the wonderfully detailed 1:43 replicas of Matrix. And that it measures some 38cm in length. 12 Art’s first model, the Aston Martin DB4, sold out extremely quickly on its release. We can easily see these Jags going the same way, so don’t delay if you don’t want to miss out.